Prometheus has stolen fire from the gods! Well, sort of. I mean, when you use a fire to make another fire, the first fire doesn’t go away. 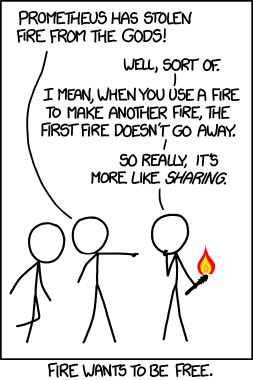 So really, it’s more like sharing.